Garments made with GORE-TEX® fabric with Paclite® product technology are durably waterproof, windproof and very breathable. With an extremely lightweight and packable construction, they are the ideal solution for hiking, cycling and other sports where weight and space are critical. These garments keep you dry and cool during demanding activities and warm during cool down, even in windy, cold weather. A smart, convenient solution for weather protection, garments made with GORE-TEX® Paclite® fabric are easy to pack and take little space in your bag. 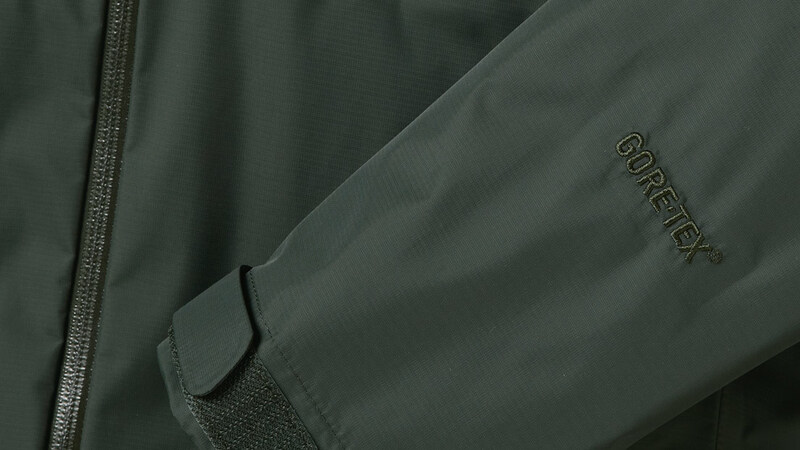 The construction of products made from GORE-TEX® Paclite® Technology is unique. A GORE-TEX® membrane is bonded to an outer shell material, then covered by a protective layer made of an oleophobic (oil hating) substance and carbon which results in an extremely lightweight, packable garment. Special GORE-SEAM® tape technology ensures that all seams are 100% waterproof.